Drug interactions occur when the efficacy or toxicity of a medication is changed by administration of another substance. Pharmacokinetic interactions often occur as a result of a change in drug metabolism. Cytochrome P450 (CYP) 3A4 oxidises a broad spectrum of drugs by a number of metabolic processes. The location of CYP3A4 in the small bowel and liver permits an effect on both presystemic and systemic drug disposition. Some interactions with CYP3A4 inhibitors may also involve inhibition of P-glycoprotein. Clinically important CYP3A4 inhibitors include itraconazole, ketoconazole, clarithromycin, erythromycin, nefazodone, ritonavir and grapefruit juice. Torsades de pointes, a life-threatening ventricular arrhythmia associated with QT prolongation, can occur when these inhibitors are coadministered with terfenadine, astemizole, cisapride or pimozide. Rhabdomyolysis has been associated with the coadministration of some 3-hydroxy-3-methylglutaryl-coenzyme Areductase inhibitors (‘statins’) and CYP3A4 inhibitors. Symptomatic hypotension may occur when CYP3A4 inhibitors are given with some dihydropyridine calcium antagonists, as well with the phosphodiesterase inhibitor sildenafil. Excessive sedation can result from concomitant administration of benzodiazepine (midazolam, triazolam, alprazolam or diazepam) or nonbenzodiazepine (zopiclone and buspirone) hypnosedatives with CYP3A4 inhibitors. Ataxia can occur with carbamazepine, and ergotism with ergotamine, following the addition of a CYP3A4 inhibitor. Beneficial drug interactions can occur. Administration of a CYP3A4 inhibitor with cyclosporin may allow reduction of the dosage and cost of the immunosuppressant. Certain HIV protease inhibitors, e.g. saquinavir, have low oral bioavailability that can be profoundly increased by the addition of ritonavir. The clinical importance of any drug interaction depends on factors that are drug-, patient- and administration-related. Generally, a doubling or more in plasma drug concentration has the potential for enhanced adverse or beneficial drug response. 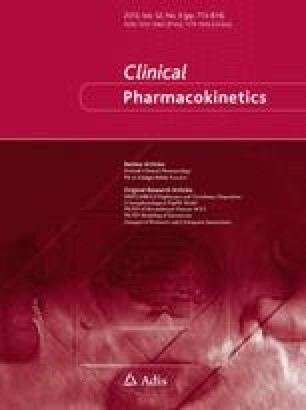 Less pronounced pharmacokinetic interactions may still be clinically important for drugs with a steep concentration-response relationship or narrow therapeutic index. In most cases, the extent of drug interaction varies markedly among individuals; this is likely to be dependent on interindividual differences in CYP3A4 tissue content, pre-existing medical conditions and, possibly, age. Interactions may occur under single dose conditions or only at steady state. The pharmacodynamic consequences may or may not closely follow pharmacokinetic changes. Drug interactions may be most apparent when patients are stabilised on the affected drug and the CYP3A4 inhibitor is then added to the regimen. Temporal relationships between the administration of the drug and CYP3A4 inhibitor may be important in determining the extent of the interaction.